We welcome you to experience California the way it used to be: family friendly, hard working and serene. 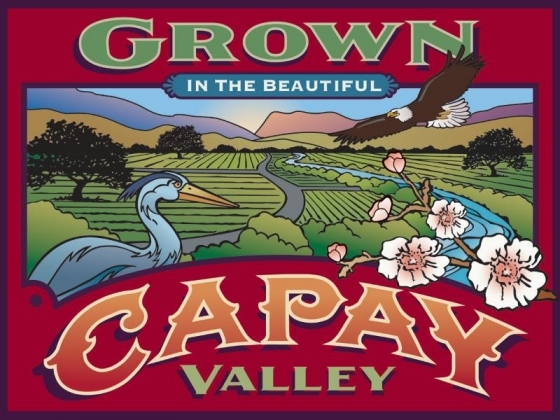 The Capay Valley is a tranquil region of Northern California nestled between the hustle and bustle of the Bay Area and the metropolitan region of the Sacramento Valley. We invite you to come and immerse yourself in this unique section of Yolo County. Home to several small communities, the Yocha Dehe Wintun Nation, farms and ranches, and an abundance of wildlife, the beauty of the Capay Valley is found in its rolling hills, natural creeks and affable residents. Whether you call it home or just come to visit, the Capay Valley will remind you of the importance of preserving rural America. In 2000 a group of residents-including farmers, townspeople, and the Tribal Council of Rumsey Indian Rancheria-came together to discuss issues facing the Capay Valley Region and to develop strategies to manage growth and preserve a sense of place. CVV incorporated as a 501(c)(3) nonprofit in 2001 to establish a community-wide vision for the future of the Capay Valley Region and to facilitate an ongoing collaborative process for planning. Public participation identified and prioritized regional needs in the areas of: recreation, infrastructure, economic development, social services, ag tourism, education, housing, water, traffic, safety services, community advocacy, communications, and other topics. This community planning event was supported by the Yolo County Rural Initiative Fund, the Heitman Foundation, and Capay Valley Vision. This document was created in response to a Yolo County request to develop a coherent road map for the future of the Capay Valley. Prepared by the multiple organizations listed at the end of the document, it was submitted to Yolo County but has not received further action by them. It has been used by the participating organizations including Capay Valley Vision as a backbone for testimony, grant requests and planned action. Survey is available through March 5. Yolo OES would like to highly encourage you to sign up for the County’s Mass Notification System. This is the system that we use throughout Yolo, Sacramento and Placer counties to send notifications to residents during times of disaster. You can join by going to www.yolo-alert.org and signing up for a free account. Feel free to e-mail any questions you have to oes@yolocounty.org and we’ll be happy to help you. Thx. ​CVV Board Members Trini Campbell and Sue Heitman; and Jayne Williams from Esparto were honored by Congressman John Garamendi at the annual event to recognize women in his district on 9/21/18 for service to their communities. Congratulations all! Help provide input into programs planned for the Aquatic Center. Complete the survey now here. Separate EIR's will be developed for each of the 9 applications. Interim Ordinance and Amendments is current state.